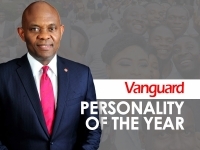 USPA NEWS - TONY O. Elumelu, the Founder of Tony Elumelu Entrepreneurship Foundation is the Vanguard Personality of the Year 2018. He has championed the African emergent entrepreneurship and private sector-led economic development for the continent of Africa. According to his staff, this has given hope to intra-African trade and economic integration which had been lacking before now and which had been the bane of the region’s economy and the clog in its wheel of progress. 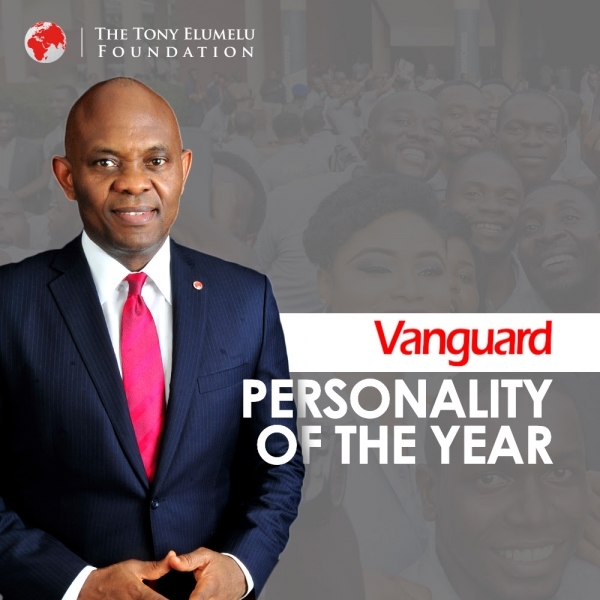 TONY O. Elumelu, the Founder of Tony Elumelu Entrepreneurship Foundation is the Vanguard Personality of the Year 2018. He has championed the African emergent entrepreneurship and private sector-led economic development for the continent of Africa. According to his staff, this has given hope to intra-African trade and economic integration which had been lacking before now and which had been the bane of the region’s economy and the clog in its wheel of progress. Tony Elumelu is the Founder of The Tony Elumelu Foundation, TEF, an Africa-based and funded not-for-profit institution, dedicated to the promotion and celebration of excellence in business leadership and entrepreneurship across Africa. Tony Elumelu has built and is still building more institutions that are driving these developments from Nigerian headquarters. The institutions cut across financial sector, healthcare and the real sector as well as infrastructure development, according the press release from his Communication Office based in Nigeria. He has also instituted human capital and entrepreneurship development platforms for the continent, pointing the way to go for Africa that would survive globalism. Tony Elumelu had honed his business and entrepreneurial skills in Nigeria over the past three decades rising through the ranks in corporate Nigeria before ascending the global stage to now building Afro-centric entrepreneurial platforms. The corporate Africa landscape is now dotted with the United Bank for Africa Plc, UBA, and the Heirs Holding brands. They are now complemented in the Africapitalism with The Tony Elumelu Foundation, TEF. These are the Elumelu Africa network with global reach in world’s leading economic centers such as New York, Paris and London, and many others. The Foundation, established in 2010, has received thousands of applications for business proposals across 54 countries in Africa. About 2,000 entrepreneurs have gone through the seven pillars of the TEF Entrepreneurship Programme. They have all benefitted directly, and those who were not selected continue to benefit indirectly from the wide range of resources that the Foundation places across its online platforms. Elumelu stated: “My message is clear to the other high net worth individuals in Africa.